Why Choose Alan as your Coach? Simply put, he has experiences unlike anyone else in the industry with climbs, summits, sponsorship and organization. Summit Coach offers highly personalized attention rarely seen in the climbing industry. Summit Coach is based on Alan’s personal experience with hundreds of other climbers, guides and his own climbs. Alan can relate to and offer benefits to his clients as demonstrated by his own climbing career as regular person with a full time job and family and starting at age 38. Alan has not summited every mountain thus gained valuable lessons he will pass on to you. Alan has been one of the few nonprofessional climbers to have been fully sponsored for some of his climbs. These included extensive public relations campaign with live television, radio interviews plus print and on-line media events. His website and Blog have over 3 million followers and Alan was cited as “one of the world’s most respected chroniclers of Everest” by Outside Magazine. Alan’s approach is to help the client have an overall positive experience, not summiting at all costs. Q: Are you confident in your physical training plan? Q: Are you certain you have the correct gear? Q: Are you certain you have the proper skills for your climb? Q: Do you fully understand what it will take to have a positive experience on your climb? Q: How confident are you that you understand what it will take to summit safely? Q: Are you certain you have selected the correct guide that matches your personality, experience, budget and skills? Q: Do you know what climbs you should do before the big one you are planning? If you answered no to any of the questions, read on because Summit Coach can change those no’s to yes. Alan has been on Everest four times summiting on May 21, 2011. His ‘non-summits’ of Everest are a serious benefit in helping you to learn from his experiences. He has over 35 major climbs around the world starting at age 38 including eight 8,000M peaks and climbing above 6000 meters over twelve times. Alan has completed 7 of the 8 “7 Summits” between November 2010 and October 2011. He has climbed all of Colorado’s 58 14,000′ mountains aka 14ers with over 210 summits including repeats. 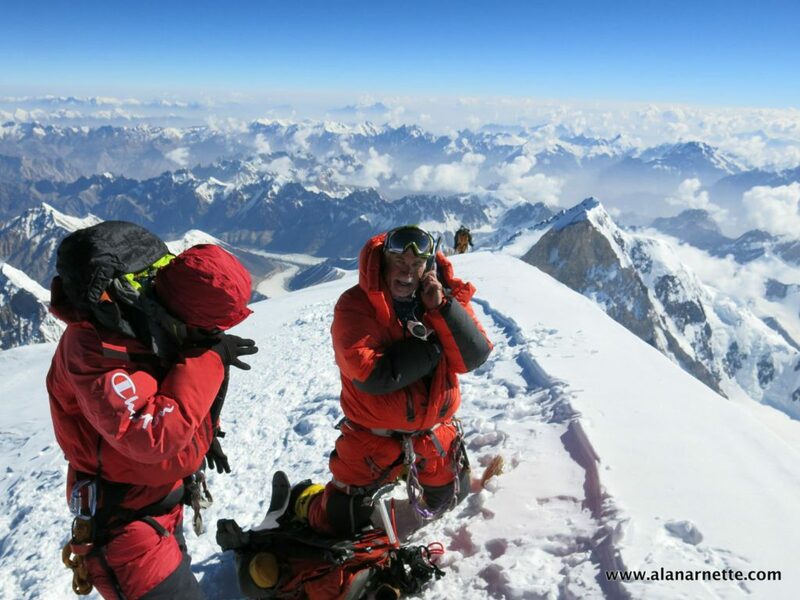 He has organized his own expeditions including to Broad Peak and K2 plus used professional guides.